i love travel, and i love quotes. 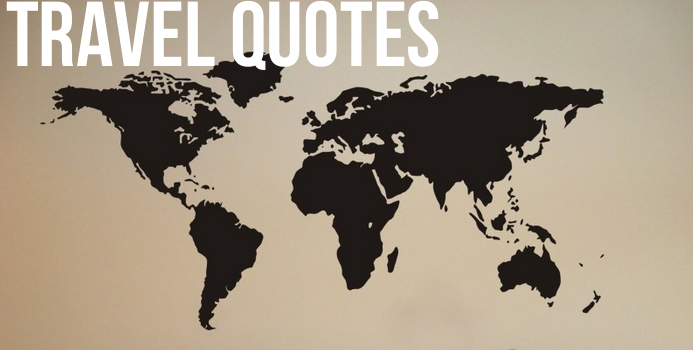 obviously i love travel quotes. you buy that makes you richer. now go travel through these! "though we travel the world over to find the beautiful, we must carry it with us or we would find it not." "the air you smell, the sights you see, the food you taste, the language you hear, and the feeling you get...nothing familiar. that is true freedom." "of the gladdest moments in human life, me thinks, is the departure upon a distant journey into unknown lands. shaking off with one mighty effort the fetters of habit, the leaden weight of routine, the cloak of many cares and the slavery of home, one feels more happy. the blood flows with the fast circulation of childhood, and the journey appeals to imagination, to memory, and to hope." I hope you see things that stop you. I hope you feel things that you never felt before. "any place that we love becomes our world." "one doesn't discover new lands without consenting to lose sight of the shore..."
"this is what travel is about. we strain to renew our capacity to wonder, to surprise ourselves into astonishment again." explore & taste & imagine. "everything i learn makes me see how much more there is to know and how little time there is in a lifetime to learn it all." "may you always find new roads to travel; new horizons to explore; new dreams to call your own."